This week's awesome EtsyInspired shop is Kharlie Bugs. Toni, the shop owner, makes different kinds of bags out of fun and trendy materials. She makes a couple different handbags and cute little cosmetic bags. One thing I really like about these bags is that you can put them in the washer and let them dry. Being a mom, I get ALL sorts of stuff on my bags so it's really nice to be able to just throw them in the washer at home and have them come out clean. Also, since the bags contain interfacing they can stand up on their own. But they are also lightweight so they don't add to all the weight you already have to carry around. Plus the fabric is cotton so it won't dig into your shoulder and hurt. There's also a super cute bag that comes with a matching bow on it that you can take off and wear as a scarf! How fun is that?? To play along with the challenge all you have to do is to go to the Kharlie Bugs shop and pick an item to be inspired by. Make any item you wish and post a link to it on the EtsyInspired 57 post on the EtsyInspired blog by Friday Oct 16, noon Pacific time. 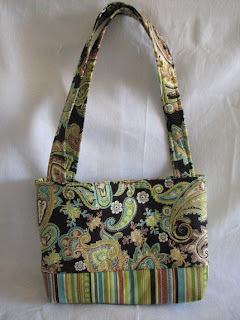 A random winner will be chosen on Friday and posted on the EtsyInspired blog. If you upload to SCS or PCP, please use keyword EIC57. ALSO, Toni is going through a hard time right now so let's cheer her up! If you make a purchase from the Kharlie Bugs shop, you get 5 entries into the drawing for this awesome Cosmo Cricket prize! What are you waiting for? Go be EtsyInspired! Here is my card for the week. I was inspired by the bag shown above. 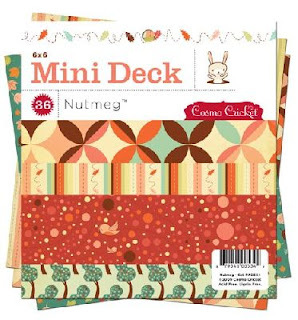 I am also using this card for a challenge over at Paper Makeup. The challenge is to CASE their team member Randee. THIS is the card I chose. I changed the stamp set, colors, left off the sentiment and some layers. And don't forget to check out the DT! This is so cute and just love the colors and this little girl. Thanks for another week of inspiration. Oh that image is so cute and I love the colors/paper/ribbon you chose! Have a great weekend! Your card is so sweet! I love the softness and girly feel! Love, love, love your card! Oh so cute! Your card is SO cute! Any little girl would LOVE it!! Oh gosh that little Sophia is just utter sweetness!!!! 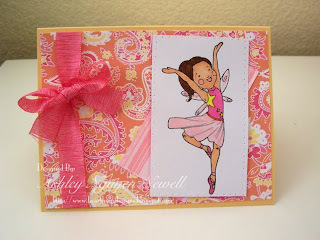 awwwwww what an adorable card - sheesh i haven't done and etsy challenge in ages - i am SO bad at them!! !